Traveling deep into the backcountry I was fortunate to capture the full moon setting as the first rays of light hit the dunes in front of me. 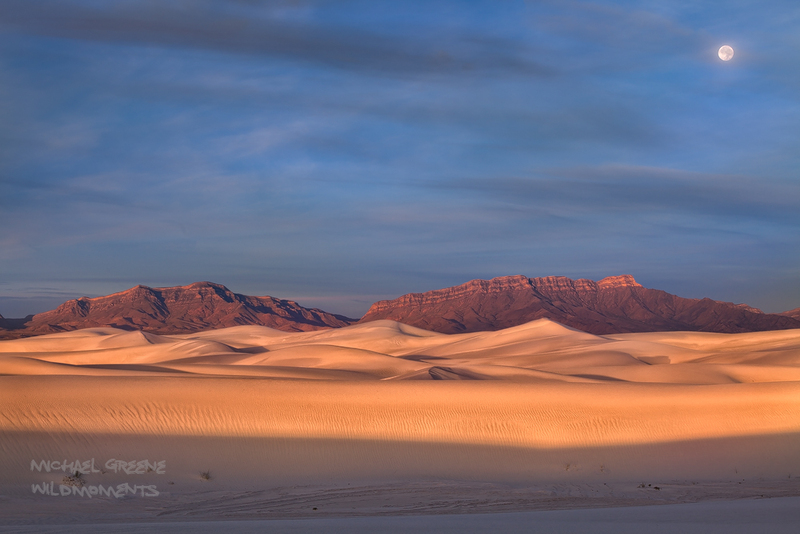 The area is in the mountain-ringed Tularosa Basin and comprises the southern part of a 275 square miles field of white sand dunes composed of gypsum crystals. It is the largest gypsum dune field in the world. Photo © copyright by Michael Greene.